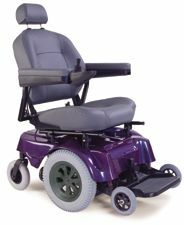 The Hercules 3000 was designed with the standard weight Scooters and Power Chairs in mind and will lift up to 275 lbs.. 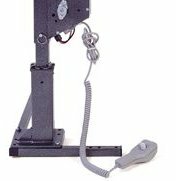 The gearbox location allows greater clearance in height and has a lower center of gravity that makes it much easier to handle during assembly and disassembly. The superior strength and versatile construction maximize available space and makes setup quick and easy. 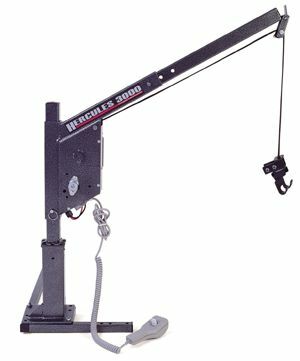 The winch motor uses a dynamic braking system to hold the load at any point. 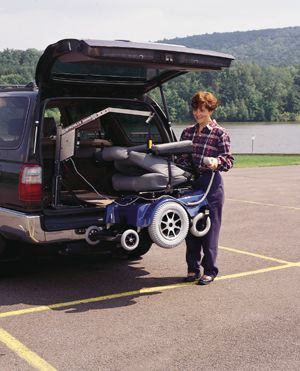 Various docking devices are available and they are extremely versatile and easily adaptable to most any scooter or electric wheelchair. 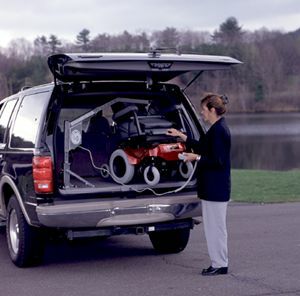 Attachments are available that will allow you to leave the seat on your scooter or electric wheelchair depending on the cargo space of your vehicle. Conveniently adjustable with 2 quick-release pins. Complete line of docking devices for scooters or wheelchairs weighing up to 275 lbs. Easily assembles and disassembles for car trunk applications. 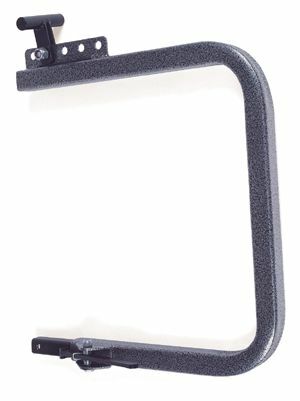 Exclusive new pivoting hook for easy maneuvering of scooter or wheelchair. 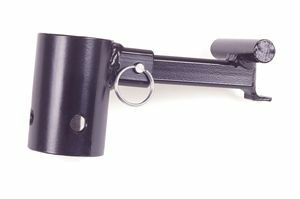 Transport lock pin added for boom arm stability during transport. Improved motor gear box design offers smoother and more efficient operation. 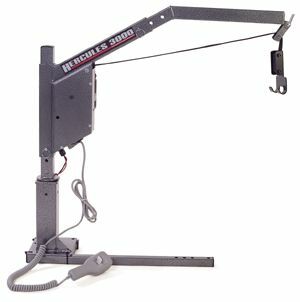 Optional angled boom arm available for smaller SUV's and mini vans.